Many of you will not be aware that the destructive removal of UK riverbank and canal trees, shrubs and other vegetation, and ‘in-river’ flora/weed growth is unlicensed and neither is it governed by any laws in most cases. Only in instances where the River, Canal or adjoining Land is listed as an SSSI protected area or where there are preservation orders on certain trees, does permission need to be sought and granted to destroy and remove this vegetation. This action always results in established habitat destruction of the essential cover, sanctuary and natural homes of resident birds, bats, fish, insects, amphibians and all wildlife. This means that Landowners, the Environment Agency, Natural England, Canal and River Trusts, Councils, etc. can remove anything that they deem necessary, unhindered by regulations and without fear of scrutiny and prosecution. They can and will decimate entire lengths or riverbanks and streams and remove as much in-river established habitat as they wish, without accountability. They do this in the name of flood defence and maintenance or projects. They do not need to consult anyone; neither do they need to seek permission, except in certain cases. Much of this destructive work is funded by public money in the form of grants from Natural England, the Environment Agency, private initiatives and the EU. Modern flood defence management (and I use the term ‘management’ loosely and with a certain amount of contempt) has been the most destructive concept to hit our rivers in my lifetime. It has zero consideration for fish and wildlife, either in or out of the river. It has intrinsically altered our rivers and canals, primarily to further farmer’s profits and protect farmers profiteering interests and in some cases to protect housing built on natural floodplains and natural water meadows where the excess river and rainwater should naturally be stored. However, farmland is, without doubt, the major reason for this modern take on flood management lobbied for by the National Farmers Union (NFU). Of course, building houses on natural floodplains doesn’t help either! The destructive work on many rivers has been so severe and the natural watercourse altered so irrevocably that the damage inflicted to the riverine ecosystem is nigh on irreparable. Yet despite this, the Environment Agency and their partners, Natural England, private landowners, Canal and River Trusts (formerly British Waterways) Councils etc. continue to destroy our waterway habitat, week in week out, directly or indirectly. As well as the bankside Tree and Vegetation habitat destruction, the other damaging practices are Dredging; where the guts are ripped out of the river and marginal vegetation is utterly decimated causing, bank collapse, further siltation and erosion. Established lifeforms, like macroinvertebrates (insect food for fish and every living creature along the riverine and land food chain), are simply obliterated and destroyed in this ill-conceived destructive process. Established fish spawning grounds are trashed without thought, highly beneficial life-giving ‘protected’ Ranunculus weed growth and other species are cut and removed, plus numerous other critical cover and sanctuary features, are simply ripped out of the river. Canalisation; the art of reducing a beautiful, meandering wild river into something reminiscent of a canal or spate river; no bends, no features, and the bankside vegetation kept to a minimum or none at all. There are two main reasons for this kind of butchery; firstly to allow boat access from canals into the river itself. This pollutes the naturally clearer river waters which become full of dirty, toxic contaminated silt and diesel laden turbid water. The water clarity is lost, the weed growth dies off and so, in the end, do the fish and macroinvertebrates that used to thrive in those once crystal clear and much higher quality waters. The loss of vital spawning grounds, along with flora and fauna mean that fish, bird and wildlife populations simply decline and become fewer and fewer. Obviously, this has a knock-on effect on the whole ecosystem and food chain, which is critical to the survival of all living creatures. The other main reason behind the river destruction is so that in flood conditions, the river water can be rushed downstream and out to sea as quickly as possible, unhindered by overhanging trees and bushes or natural meandering river features like bends. This prevents farmland set on natural floodplains from flooding, despite it being a natural outcome. The result is often catastrophic; fish fry, spawn, invertebrates and other wildlife are simply killed and swept away. Any natural river feature, that would have offered a refuge and sanctuary in these adverse conditions, has been eradicated by the Environment Agency ‘flood defence’ teams and their partners. Despite the running off of excess river and rainwater ASAP, this being the ill-conceived EA’s standard flood prevention procedure, it leads to even more severe flooding downstream of towns and cities. There are countless examples of this over the years and yet the obvious reasons as to why this happens are still ignored by the Environment Agency. Our rivers have never been under such threat. We must fight to protect the riverine habitats that our fish, birds, wildfowl and all wildlife depend on for survival. The highly protected otter, bats, water voles, kingfishers, herons and a plethora of protected bird life, animals and invertebrates, are all put at risk by the removal of bank-side trees, shrubs and in-river flora and fauna. Fish are under tremendous pressure from predation and this form of essential habitat is critical for their survival too. Tree roots and overhanging and fallen trees offer sanctuary for the fish, where they can seek cover and evade capture from predators. Fish also use these structures and weed growth for spawning and we are seeing declining fish stocks due to this loss of essential habitat. In-river tree debris, trailing branches and tree roots are often packed with life. All sorts of insects including mayflies, damselflies and dragonflies use these for laying eggs and reproducing future generations naturally, as do the fish. To ensure we have a balanced ecosystem we must stop removing these vital survival resources from our rivers. Remove just one critical element beyond a sustainable level and the whole pyramid collapses. As a nature lover, I want to see all life thrive, both in and out of the water. 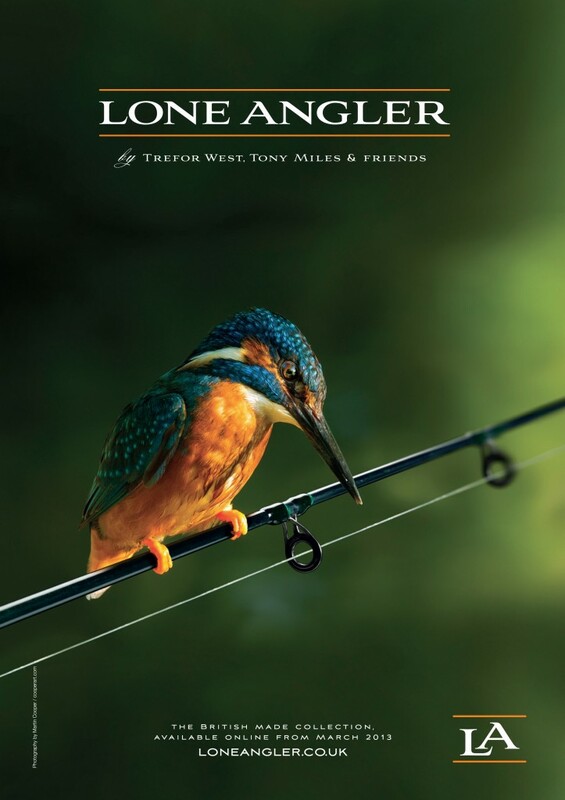 As an angler, I have an affinity with the fish as they are often forgotten in the great scheme of things, particularly when it comes to the more glamorous wildlife that most non-anglers love to see. Fish are not fluffy, cute or cuddly creatures and it’s difficult to look at them with any great fondness unless you are an angler. However, the fish are key to the survival of the other wildlife and we have seen a huge decline in fish populations in our rivers over the last 20-30+ years. The only reason that some indigenous UK fish species are still present in our rivers today, is because of the Environment Agencies artificial captive breeding and continuous re-stocking of our rivers and streams, which simply masks the bigger issue of why these stocks are declining. The EA and other Government financed departments will be only too happy to dispute this statement, arguing our rivers have never been so healthy; however, the reality is the UK has failed miserably to meet the EU’s Water Framework Directive and has been challenged successfully in court by the Angling Trust and the WWF. Let us hope that this pressure on our Government continues and that more battles are won to protect our rivers, trees and all fish and wildlife. For all of these species to thrive in harmony together, we must ensure that their environment and habitat is highly protected. This is why I have created this petition. We must prohibit and stamp out this kind of destructive work, no matter the reason, to protect the rivers in England and ensure our rivers can support the fish and wildlife that we all want to see. Anyway, back to the point in hand; Riverbank Tree and Shrub removal plus in-river debris. This work must be fully licensed and valid reasoning given for the action to destroy and remove. Full and proper ‘independent’ ‘Environmental Impact Assessments’ carried out ‘beforehand’ and ‘after’ in all cases before any legal permission is granted or denied. The EA already produces a ‘Best Practices’ leaflet to try and stop the mass destruction of habitat. Yet despite this acknowledgment that works carried out can frequently be excessive and damaging, there are still no laws to try and prevent it from happening. There are also numerous instances where the EA fisheries department has helped to create and enhance riverbank trees and shrub growth, only for their own flood defence team to come along at a later date and take it all out! I hope that you can give this petition your full support and act to save our rivers, birds, bats, fish, insects and all our wildlife. If you love wildlife, love walking along beautiful unspoiled rivers, watching countless birds and wildlife thrive in and around this watery environment, then you need to support this petition. We must put an end to this wanton destruction of such nationally important habitat.